Min-Woo Bang’s cloudscape paintings are both ethereal and mesmerising. 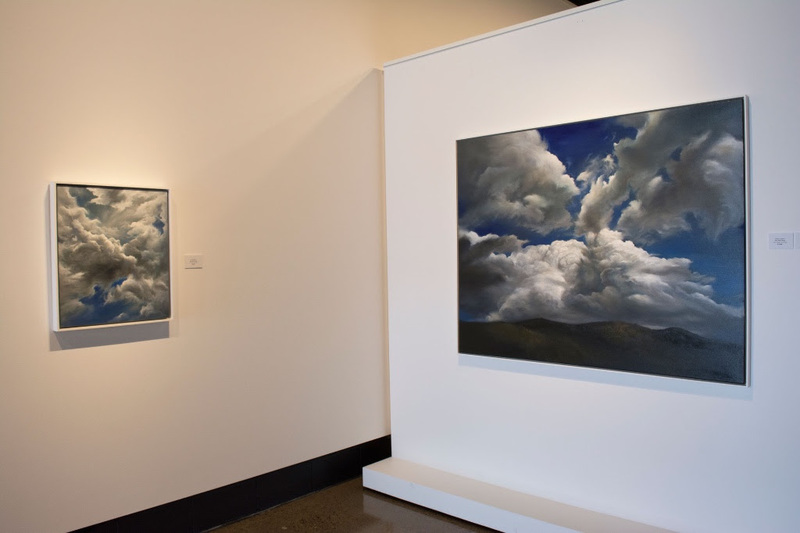 Struck with the charm of the Australian landscape and the absolute enormity of our skies Min-Woo Bang’s primary subject matter is the allure of our natural surroundings and the ephemeral beauty of our skies. “I am interested in capturing nature’s transitional moods in breathtaking Australian landscapes, engaging my senses with the emotional and aesthetic qualities of the land and sky that echo human moods”, says Bang. Originally from South Korea, Min-Woo Bang has called Sydney home for over 20 years. He conducts field trips that result in hundreds of photos of blue sky and cloud formations that become his inspiration. A painting begins as broad colour fields, seductively revealing itself as Bang explores form, colour and light. There is a suggested reference to the language of classical European landscape paintings in his art and yet he has developed his own narrative in his works. “With the idea of passing time and memory through nature, the physical elements and forces of nature are interdependent in an atmospheric landscape and the experience of nature’s transformation is balanced by a deep, physical connection to place”, says Bang. Strategic incorporation of landscape elements, be it trees or scenery, only act to accentuate what he is really painting – the sky. His compositions draw the eye to the centre of the painting, focussing the viewers’ attention as he interprets the power, beauty and majesty of nature. Min-Woo Bang has been a finalist in the Tattersall’s Landscape Prize, Wynne Prize, Muswellbrook Art Prize, NSW Parliament Plein Air Painting Prize, Mosman Prize, Paddington Art Prize and the Gold Coast Art Prize. The exhibition is now showing and will run until 10th November 2018 at Mitchell Fine Art in Fortitude Valley Brisbane. mailing list to receive information on exhibitions and events. Mitchell Fine Art is located at 86 Arthur St, Fortitude Valley, Brisbane. The gallery is open 6 days a week with onsite parking available. To view the exhibition online visit www.mitchellfineartgallery.com. For enquiries phone (07) 3254 2297 or email gallery@mitchellfineartgallery.com.